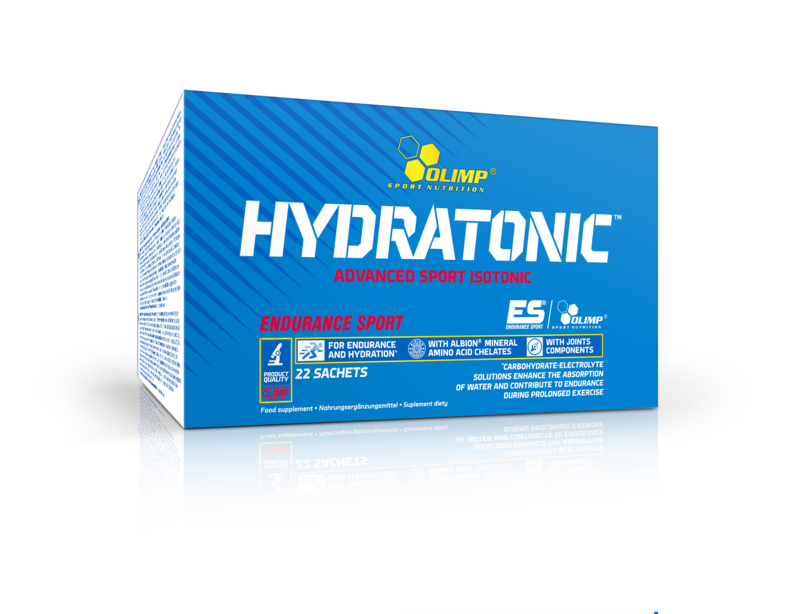 HYDRATONIC™ - COMPLEX HYDRATION AND PROTECTION OF YOUR BODY! 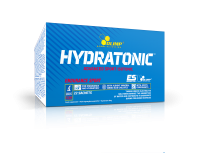 HYDRATONIC™ - Product which satisfies the most critical requirements related to both effective hydration - in conditions contributing to significant dehydration - and simultaneous supplementation of active substances supporting the functions of joints as well as vitamin and mineral complex. Chela Hydratation Formula - advanced and unique isotonic-electrolyte formula available worldwide, based on minerals in the form of amino acid chelates Albion®, with unsurpassed high absorbability. 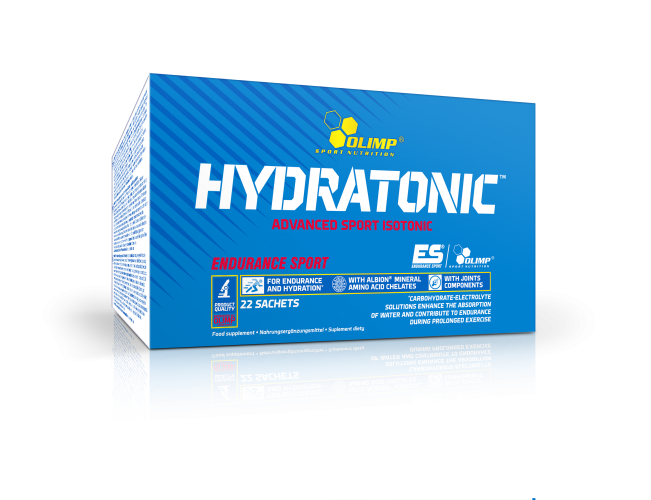 As a result, HYDRATONIC™ is highly useful for people exposed to significant electrolyte losses which is unquestionable in the context of the presented scientific data. 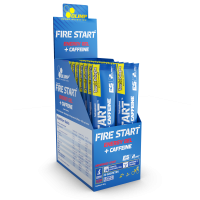 Arthro Safe System - a rich complex of active substances with positive effects on the functions of joints. Clinical studies for individual product ingredients (6,7,8) show that they may reduce the level of experienced pain in patients with hip or knee osteoporosis, with additional inhibition of degradation of articular cartilage, thus having a positive impact on the condition of joints in actively training sportsmen. 1. Armstrong LE, Costill DL, Fink WJ (1985). Influence of diuretic-induced dehydration on competitive running performance. Med Sci Sports Exerc 17:456–62. 3. Pinchan G, Gauttam RK, Tomar OS, Bajaj AC. Effects of primary hypohydratation on physical work capacity. Int J Biometeorol 1988; 32: 176-180. 4. Farthing MJG (1988). History and rationale of oral rehydration and recent development in formulating an optimal solution Drugs 36:80-90 (suppl. 4). 5. Rabindarjeet Singh. Fluid Balance and Exercise Performance. Mal J Nutr 9(1): 53-74, 2003. 6. Moskowitz RW. Role of collagen hydrolysate in bone and joint disease. Semin Arthritis Rheum. 2000 Oct;30(2):87-99. 7. Benito-Ruiz P, Camacho-Zambrano MM, Carrillo-Arcentales JN, Mestanza-Peralta MA, Vallejo-Flores CA, Vargas-López SV, Villacís-Tamayo RA, Zurita-Gavilanes LA. A randomized controlled trial on the efficacy and safety of a food ingredient, collagen hydrolysate, for improving joint comfort. Int J Food Sci Nutr. 2009;60 Suppl 2:99-113. 8. Clark KL, Sebastianelli W, Flechsenhar KR, Aukermann DF, Meza F, Millard RL, Deitch JR, Sherbondy PS, Albert A. 24-Week study on the use of collagen hydrolysate as a dietary supplement in athletes with activity-related joint pain. Curr Med Res Opin. 2008 May;24(5):1485-96. 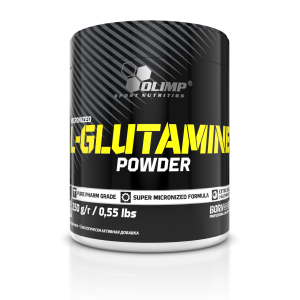 Ingredients: maltodextrin, 12% collagen hydrolysate, segregated sugar, malic acid - acidity regulator, glucose, glucosamine sulphate 2 KCl, potassium salt of ortophosphoric acid, fructose, calcium bisglycinate (calcium amino acid chelate Albion®), chondroitine sulphate, sodium citrate, magnesium bisglycinate (magnesium amino acid chelate Albion®), fragrances, sodium salt of karboxymethylcellulose - thickening substance, acesulfam K, sucralose - sweeteners, L-ascorbic acid - vitamin C, sodium hyaluronate, zinc bisglycinate (zinc amino acid chelate Albion®), DL-alpha- tocopherol acetate - vitamin E, dyes: riboflavin, beta-carotene (orange flavour), riboflavin (lemon flavour), nicotinic acid amide - niacin, sodium selenite, retinyl acetate - vitamin A, calcium D-pantothenate - panthotenic acid, D-biotin, cyanocobalamin - vitamin B12, cholecalciferol - vitamin D, pteroyl(mono)glutamic acid - folate, pyridoxine hydrochloride - vitamin B6, riboflavin - vitamin B2, thiamine mononitrate - vitamin B1. 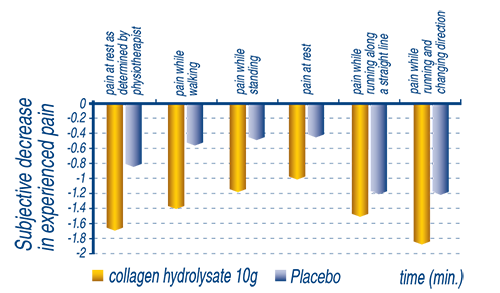 Albion Gold Medalion™, Albion® are trademarks of Albion Laboratories, Inc.
*%ZDS - percent of the recommended daily allowance. 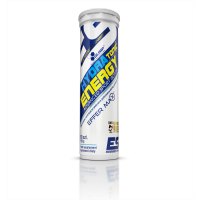 Intended use: product designed for physically active adults during exhaustive, prolonged physical exercise. Recommended also during significant thirst and exposure to dehydration. Recommended daily intake: 4 servings (4 sachets). 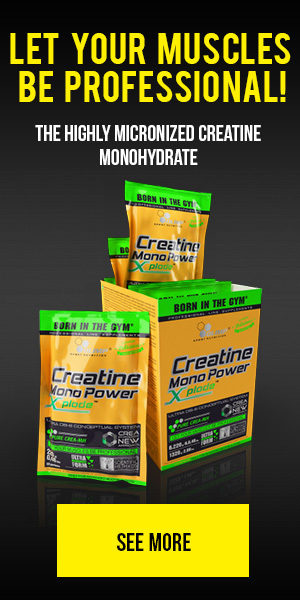 1 serving every 20-30 minutes of intense physical exercise. Dissolve 1 serving in 250 ml of water. Dietary supplements are not a replacement for a healthy diet. 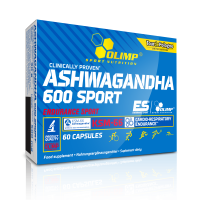 It is recommended to observe balanced nutritional regime and healthy lifestyle.